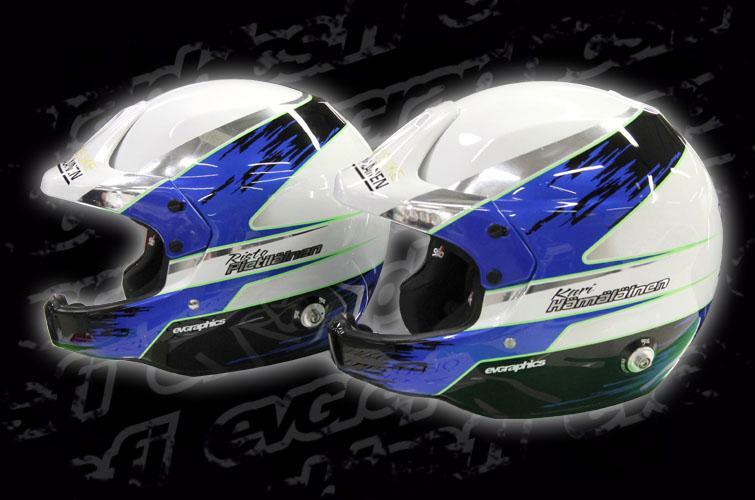 Evgraphics provides high quality helmet paintings for all racers. 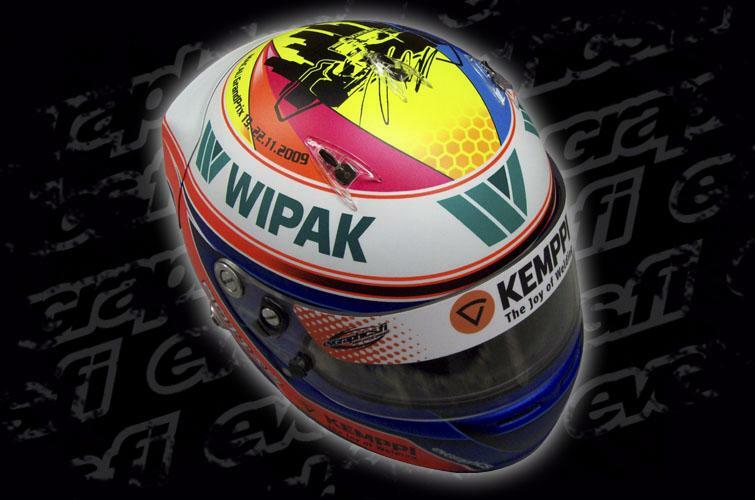 We have supplied helmet paintings for some of the best Finnish drivers, including Valtteri Bottas, Aaro Vainio, Jari Ketomaa and Esapekka Lappi. Not mention hundreds of young karting drivers. 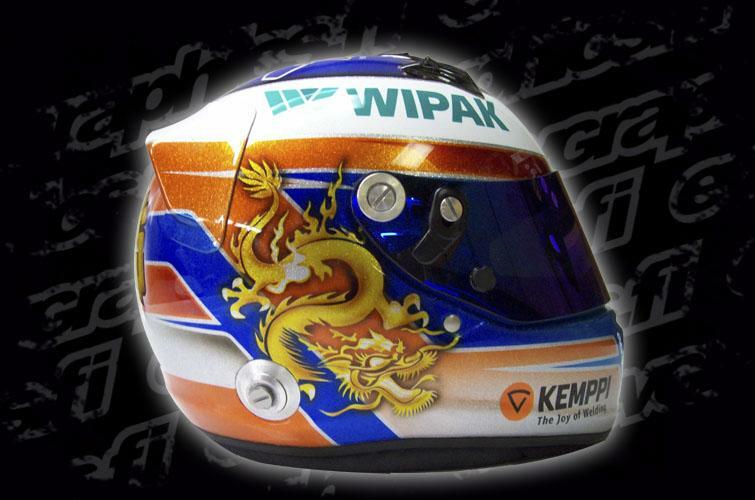 Every painting is designed in close co-operation with customer and everything is done according to customer's requests. Of course, we give our own personal and professional touch to every project. 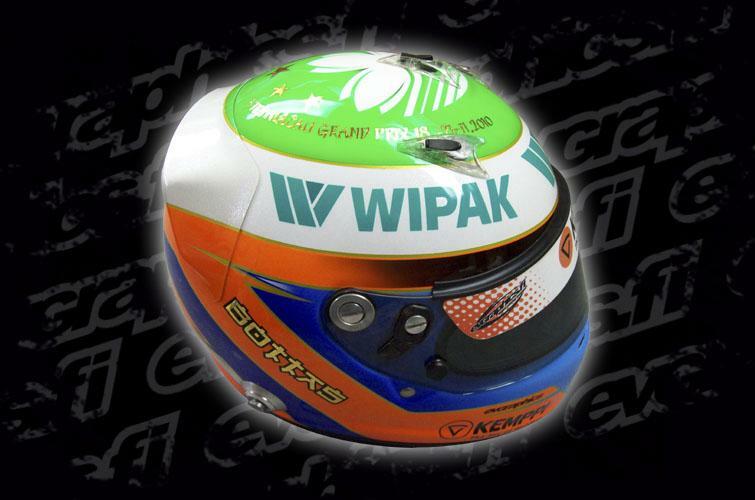 Evgraphics is well known for its attention to detail, very high quality and clean workmanship. 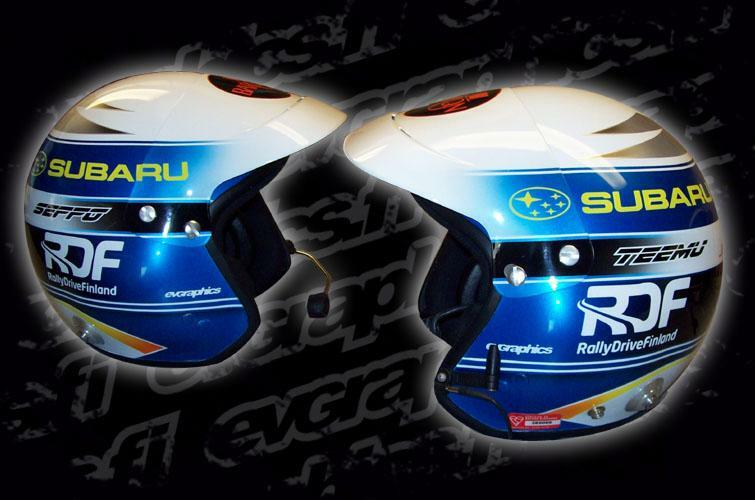 Please check out some examples of our quality at the "detail" gallery. 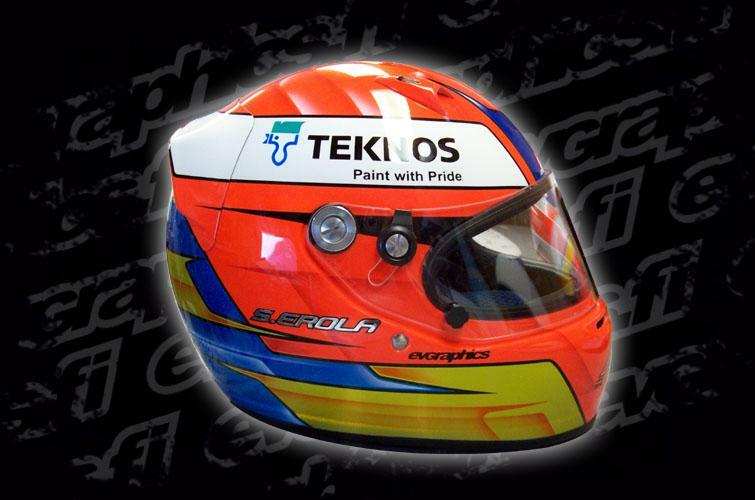 We offer one of the best price-quality-ratios in Europe's helmet painting scene. We are also known for our reliable deliveries and accurate timetables. And if you have a VAT number we can sell everything without sales tax. This all makes us even more economical choice! 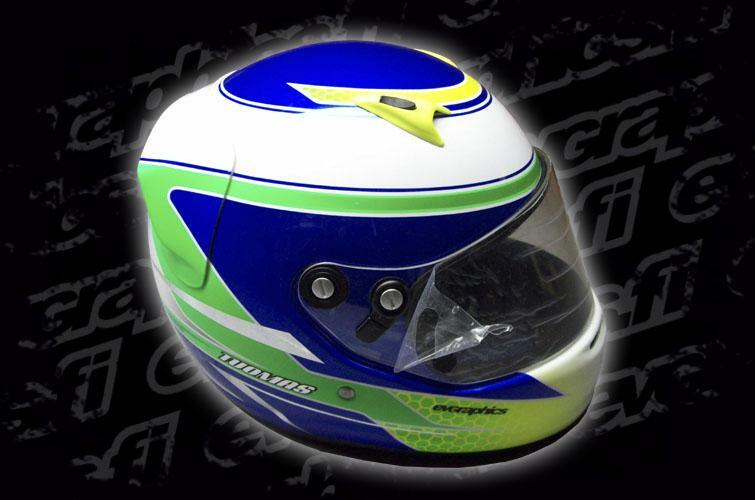 Every painting is charged based on the complexity of the job, but for an example we offer you a full 5 color paint job with drivers names, 4 sponsor logos, painted spoilers etc. 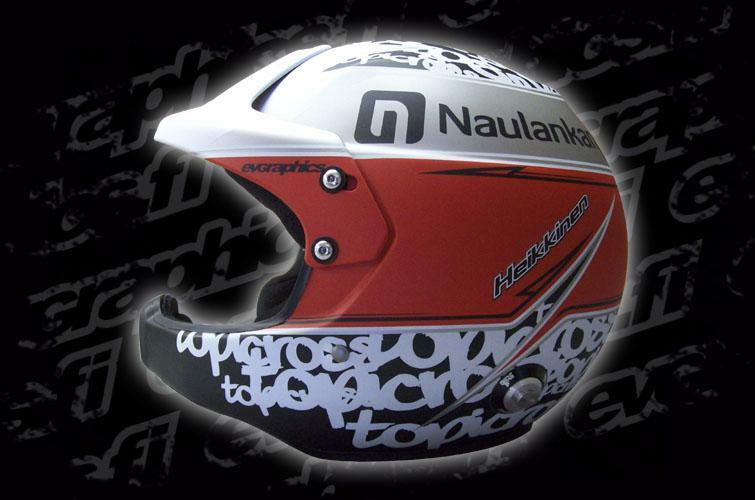 and design work for 550,00 euros ( vat 0%). 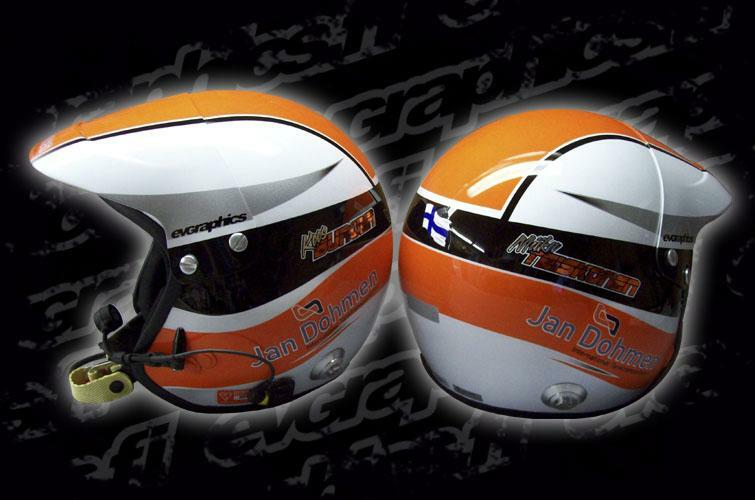 We deliver all over EU and Scandinavia. 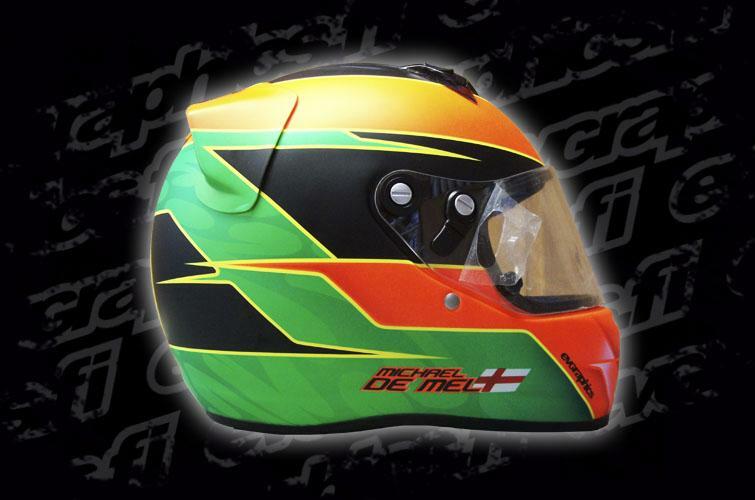 Shipping cost varies a bit depending on urgency and location, but for example, shipping 1 helmet to Germany is about 25,00 euros, using our normal shipping rates. 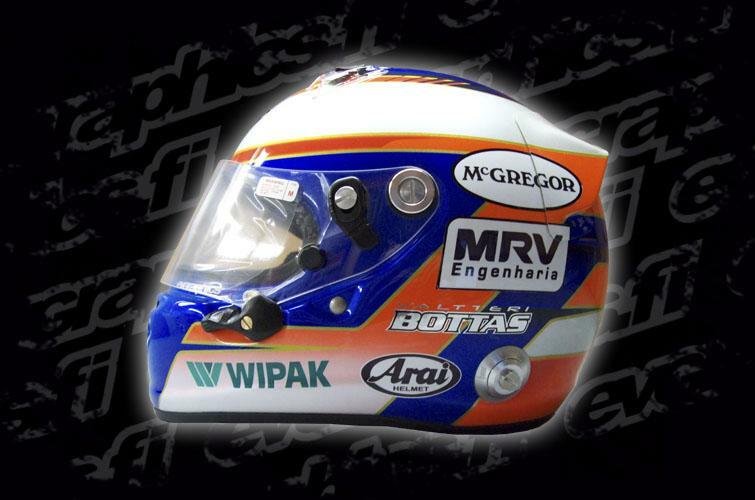 We require 100,00 euro advance payment before we send any concepts to our customers, the rest to be paid before shipping. You can use either wiretransfer (bank payments) or Paypal. So, what are you waiting for? 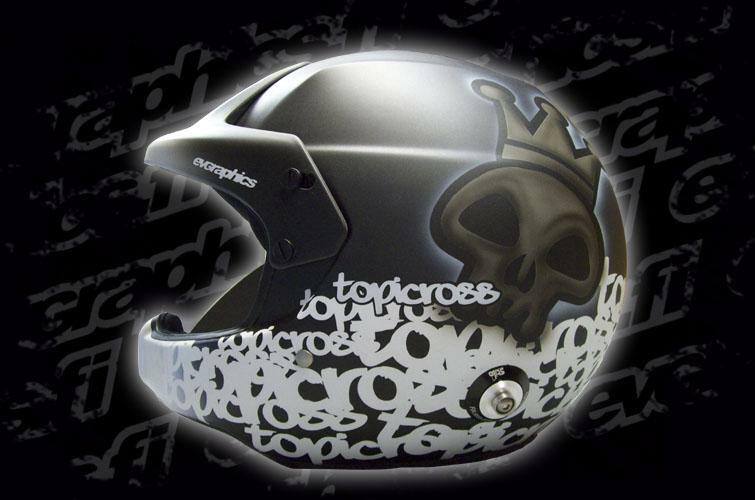 Contact us, and let us paint your next helmet!